While Goods and Services Tax (GST) collection in entire 2017-18 stood Rs 7.41 lakh crore, in March the figure was Rs 89,264 crore. After Centre collected Rs 103,458 crore revenue under the Goods and Services Tax (GST) in April 2018, Finance Minister Arun Jailtey said that exceeding Rs 1-lakh crore is a landmark achievement. In a series of tweets, Arun Jaitley said, “GST collections in April exceeding Rs. 1 lakh crore is a landmark achievement and a confirmation of increased economic activity as brought out by other reports”. “With the improved economic climate, introduction of e-way bill and improved GST compliance, GST collections would continue to show a positive trend,” said Arun Jailtey in another tweet. 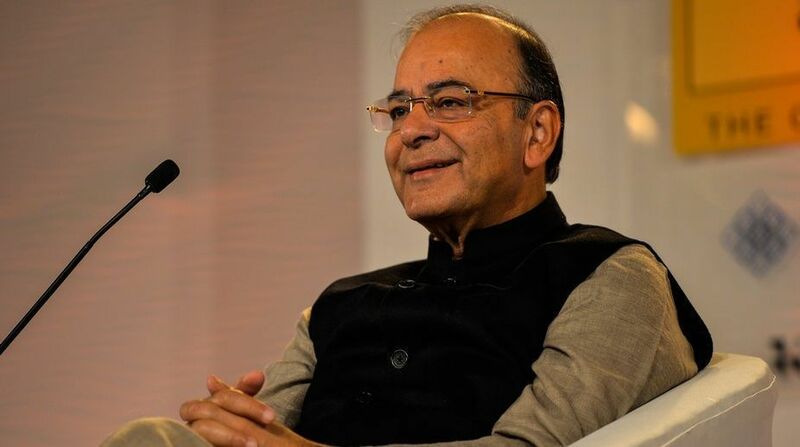 While thanking the taxpayers, state and Central govt, Jaitley said that Increased tax collections will help the nation to expand its economic horizons and take it to loftier heights. Increased tax collections will help the nation to expand its economic horizons and take it to loftier heights. According to the Ministry of Finance, the average monthly collection under the GST regime for the last eight months — August 2017-March 2018 — was Rs 89,885 crore. “The total gross GST revenue collected in April 2018 is Rs 103,458 crore of which CGST (Central Goods and Services Tax) is Rs 18,652 crore, SGST (State Goods and Services Tax) is Rs 25,704 crore, IGST (Integrated Goods and Services Tax) is Rs 50,548 crore (including 21,246 crore collected on imports) and Cess is Rs 8,554 crore (including Rs 702 crore collected on imports),” the Ministry said in a statement. As per the statement, the buoyancy in tax collection under the GST “reflects the upswing in the economy and better compliance”. “However, it is usually noticed that in the last month of the financial year, people also try to pay arrears of some previous months and, therefore, this month’s revenue cannot be taken as trend for the future,” the statement added.